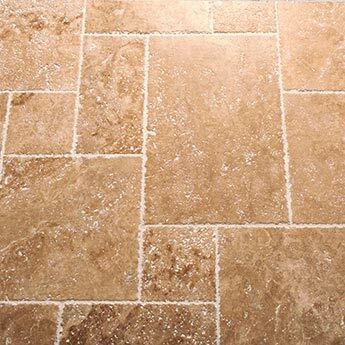 Packs consist of a mix of nominal sizes: 600x400, 400x400, 400x200 and 200x200 tiles The unique natural beauty of these light medium travertine tiles will transform the look of the interior and exterior areas of your home. They look equally spectacular as walls and floors in conservatories, hallways, porches and living and dining areas as they do as outdoor patios, pathways and pool surrounds. 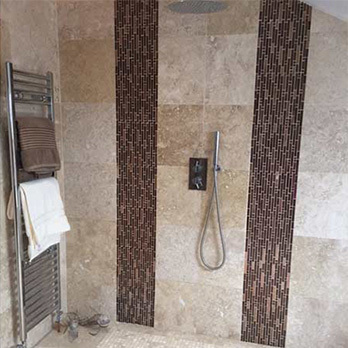 These tiles are used in the creation of rustic and traditional designs. Architects recommend these tiles for open plan designs as they accentuate light and space in majestic fashion. 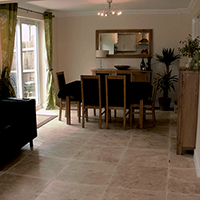 They are also used in more ambitious projects like self builds and barn conversions. 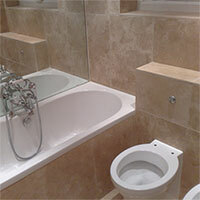 These natural stone travertine tiles are incredibly strong and durable and have a matt finish which makes them ideal for high traffic areas of flooring. 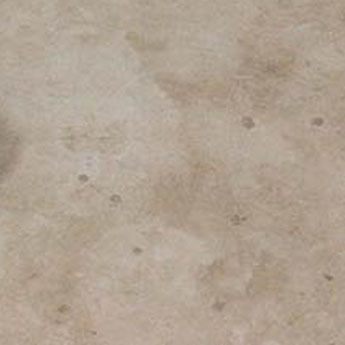 Transform your exterior with this Light Travertine French Pattern Set. These tiles can be incorporated within stunning garden patio layouts, within which they provide immense style and durability. 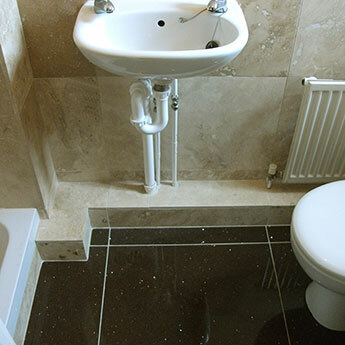 For more information on how you can renovate an interior or exterior area with these tiles, please contact Tilesporcelain today.